Born in Massilon, OH on Dec. 13, 1873. Williams began art studies as a child and continued at the ASL in NYC. She moved from Canton, OH to San Diego about 1906 where her brother owned a gold mine in nearby Julian. In San Diego she maintained a studio in a building she owned at Seventh and Beech streets where Alfred R. Mitchell also lived and worked. Her last six months were spent in a hospital in Los Angeles where she died on June 21, 1943. 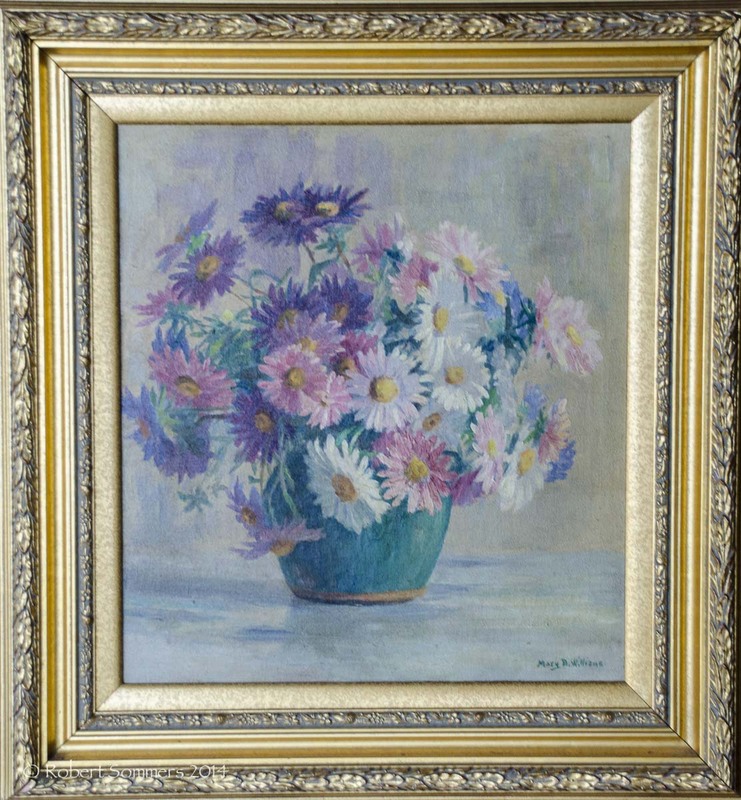 Her oeuvre includes landscapes, floral still lifes, miniatures, and portraits. Member: San Diego Art Guild (charter member, 1915). Exh: Carnegie Library (San Diego), 1909 (solo); Panama Calif. Int’l Expo (San Diego), 1915 (silver and bronze medals); San Diego FA Gallery, 1927; Calif.-Pacific Int’l Expo (San Diego), 1935; Calif. State Fair, 1936. In: San Diego Public Library and Historical Society; State Museum Resource Center (Sacramento).